"Its my families 1st own home and 1st time engaging an ID. We've heard of terrible IDs but of course there are some good ones as w..."
"The start with a creative and friendly character ID of Starry Homestead, Eric made our renovation works easier...He listened and u..."
"I cant rave enough about Xin Concept Pte Ltd. It certainly lives up to its name .." hearts "..their service and designs truly is f..."
Great renovation from Areana Creation! "I would like to thank Zeenn from Areana Creation for his dedication, professionalism and patience for creating my new home. 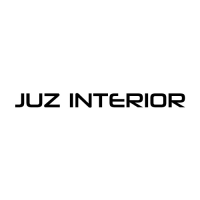 I didn..."
"Our experience with Juz Interior was really very good. The interior designer, Ben Lee really listen to your renovation needs and c..."
Thumbs up to John and his team! "We would like to take this opportunity to thank John Kow and his team. We are both grateful and lucky to have John as our ID. He i..."
"Brandon has provided me with good ideas, on top of my own. He is a very meticulous person and oversee that the renovation works ar..."
"Our designer Pen Teoh displayed passion and enthusiasm in his work and nv fails to deliver. 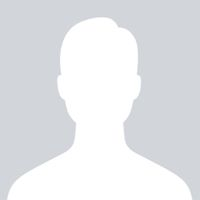 He is creative and ensure that all..."
"While speaking to various IDs during the initial shortlisting stage, what made me decided to go with Space Atelier was Peigee's qu..."
"We got to know about The Interior Lab through Qanvast. After reading several reviews which recommended Yen, we decided to give her..."
Join 4,938 satisfied homeowners in receiving a customized shortlist of interior designers for your renovation project. Join 4,938 satisfied homeowners in receiving a customized shortlist of interior designers for your renovation project. We offer expert recommendations to help you narrow down your search for the perfect interior designer. "Its my families 1st own home and 1st time engaging an ID. We've heard of terrible IDs but of course there are some good ones as well. Fortunately, our ID gave us a great experience to share. The renovation was done timely and proper. Every piece of work from lightings to the carpentry were done exceptionally well. Lee Sing was organized and efficient and we were well informed on the progress of the reno. The design is exactly what we requested. "The start with a creative and friendly character ID of Starry Homestead, Eric made our renovation works easier...He listened and understood our ideas and transformed into a simple but unique ideas... As it was our first house renovation, we tend to change our finishes selection always but Eric was so patient with us. Though, no doubt, there's misunderstanding, Eric had potrayed a professional attitude. No doubts that we have a lots of feedbacks by our relatives and friends about our lovable nest as they said, they felt so calm and relaxed in here... Overall, we were sooo grateful that he have helped us to create a simple and comfortable nest. Surely, we recommended Eric to our friends for their renovation works!!! Once again, Thank You Eric!!!" "I cant rave enough about Xin Concept Pte Ltd. It certainly lives up to its name .." hearts "..their service and designs truly is from the heart. I was introduced to Kelvin 10 years ago and since then i never needed to look elsewhere. Last November, I entrusted my bedroom remodelling to his assistance, Elizabeth. She's young but i was so confident with Kelvin that i didnt doubt her capability. In fact she exceeded my expectations as a young designer. Elizabeth openly listened to all my concerns and provided various ideas and solutions to this project. She would point out every pro and con for each idea which I find very important in order for me to make decisions. If anything needed to be problem-solved , she was always there ensuring it went smoothly. It is clear she takes this job with pride. Another area that is praise-worthy is that she will never rush me for any decision making. Her top priority was making sure both my husband and I loved the designs and concepts. It has been almost 3 months since completion. I cant believe her after-sales service. She still helped me with some additions and alterations even though they were impromptu requests from me. I would say other companies would have likely turned me down. 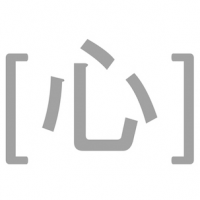 Working with Xin Concept was always stress-free and their after-sales service is top notch. They had exceeded my expectations of a good designing firm. I would strongly recommend them to anyone." "I would like to thank Zeenn from Areana Creation for his dedication, professionalism and patience for creating my new home. I didn’t have to worry much knowing that my house is in his good hands. He has gone the extra mile to make sure that my requests are met and i'm very satisfied with the end product. During the renovation process, he was there to guide the team on some occasions. He was quick to respond and put my mind at ease whenever i've some last minute changes to make. He is always there to advise and most importantly, always contactable and responsive. The renovation went on really smoothly and he had been absolutely fantastic with all the follow up calls, schedules and payment was also very transparent. Thanks for giving me a cozy place where i call HOME!" "Our experience with Juz Interior was really very good. The interior designer, Ben Lee really listen to your renovation needs and concept and incorporate his expertise to create a dream home we have always longing for. We have shared our theme of nature plus scandavanian and the results were amazing. From using earth tone for our display cabinets to green wall and artificial grass at the balcony. It creates a home which we always feel comfortable and conducive to stay in. Ben Lee is very good at space planning too, and this is not the forte of the many IDs we have interviewed. Juz Interior is also the first company to use VR to give customers a feel of how their renovation will look like before they start work. Ben Lee is a very sincere and dedicated ID whom we can trust, listen to our feedback, and even willing to go the extra mile to improve the overall interior look. He has become a friend to us whom we can always rely on to deliver excellent service and uncompromised quality"
An interior design firm helps homeowners translate ideas into actual spaces. If you're unsure what design theme or style you would like, consulting an interior designer for advice would be a useful starting point. When it comes to your home renovation, interior designers can leverage on their contacts with specialist sub-contractors to save your time and money. If you're looking to create an aesthetically pleasing home, the practical and design skills of an interior designer will be useful to most homeowners. Hometrust is designed to help you find suitable interior designers for your home project. Scroll through this page to find top-rated interior designers, according to homeowner reviews. You may browse their individual portfolios to compare them to the requirements of your project. To save time, you may rely on us to recommend you up to 5 most suitable interior designers according to your specific requirements. Hometrust ratings are based on user-generated reviews of homeowners. By collecting authentic information of renovation experiences, we aim to be a starting point to help homeowners make baseline comparisons when it comes to choosing an interior designer.